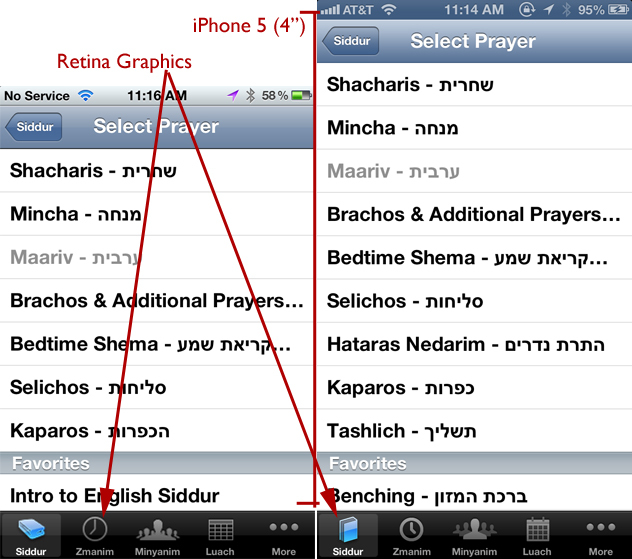 The iPhone 5 is out and so it iOS 6, last week we submitted a new version of the iPhone Siddur to Apple to support both the iPhone 5 and iOS 6. We dubbed this version 5.1 and is available for download as of September 24th (9pm EDT). The main differences include support of the iPhone 5's 4 inch tall screen. We use all of the screen real estate to make sure you can see as much text as possible. We also added retina graphics to 99% of the screens, so the app's icons and images should look much sharper. 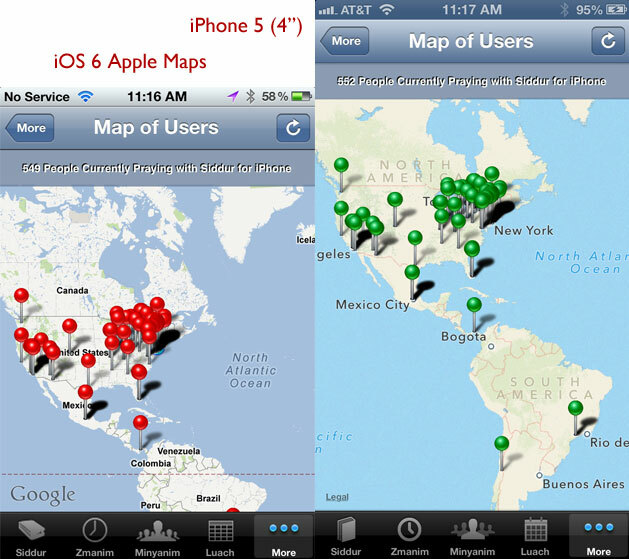 The maps has changed from Google Maps to iOS Apple Maps. We also added some iOS 6 specific optimizations. Here is the list of changes to version 5.1 of the Siddur. Note, we didn't update Siddur HD for iPad, we will soon.